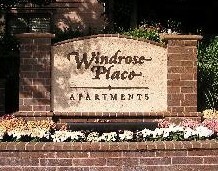 Windrose Place Apartments offers luxury apartments for rent in Pasadena, California. Our high-end units provide stylish comfort and first-class amenities in a superior location. There are four different types of units to choose from, including a one bedroom, one bed plus loft, two bedroom, and two bed plus loft. The square footage is 680 for one bedroom, all the way up to the two bedrooms at more than 1000 square feet. See home page for pricing of available apartments. Contact our apartment complex in Pasadena, California, for more information about our spacious floor plans.